The Polish resistance movement in World War II, with the Polish Home Army at its forefront, was the largest underground resistance movement in all of occupied Europe,[a] covering both German and Soviet zones of occupation. The Polish resistance is most notable for disrupting German supply lines to the Eastern Front, providing military intelligence to the British, and for saving more Jewish lives in the Holocaust than any other Western Allied organization or government. It was a part of the Polish Underground State. The largest of all Polish resistance organizations was the Armia Krajowa (Home Army, AK), loyal to the Polish government in exile in London. 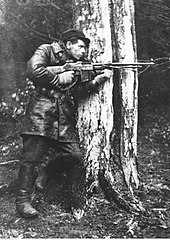 The AK was formed in 1942 from the Union for Armed Combat (Związek Walki Zbrojnej or ZWZ, itself created in 1939) and would eventually incorporate most other Polish armed resistance groups (except for the communists and some far-right groups). It was the military arm of the Polish Underground State and loyal to the Polish government in Exile. The Bataliony Chłopskie (Peasants' Battalions). Created by the leftist People's Party around 1940–1941, it would partially merge with AK around 1942–1943. The Konfederacja Narodu (Confederation of the Nation). Created in 1940 by far-right Obóz Narodowo Radykalny-Falanga (National Radical Camp Falanga). It would partially merge with ZWZ around 1941 and finally join AK around fall 1943. The Narodowa Organizacja Wojskowa (National Military Organisation), established by the National Party in 1939, mostly integrated with AK around 1942. Narodowe Siły Zbrojne (National Armed Forces); created in 1943 from dissatisfied NOW units, which refused to be subordinated to the AK. The Obóz Polski Walczącej (Camp of Fighting Poland), established by the Obóz Zjednoczenia Narodowego (Camp of National Unity) around 1942, subordinated to AK. in 1943. The largest groups that refused to join the AK were the National Armed Forces and the pro-Soviet and communist People's Army (Polish Armia Ludowa or AL), backed by the Soviet Union and established by the Polish Workers' Party (Polish Polska Partia Robotnicza or PPR). On 9 November 1939, two soldiers of the Polish army—Witold Pilecki and Major Jan Włodarkiewicz—founded the Secret Polish Army (Tajna Armia Polska, TAP), one of the first underground organizations in Poland after defeat. Pilecki became its organizational commander as TAP expanded to cover not only Warsaw but Siedlce, Radom, Lublin and other major cities of central Poland. By 1940, TAP had approximately 8,000 men (more than half of them armed), some 20 machine guns and several anti-tank rifles. Later, the organization was incorporated into the Union for Armed Struggle (Związek Walki Zbrojnej), later renamed and better known as the Home Army (Armia Krajowa). 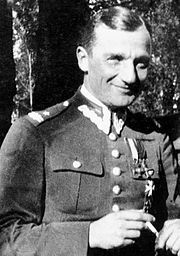 Major Henryk Dobrzański aka "Hubal"
In March 1940, a partisan unit of the first guerrilla commanders in the Second World War in Europe under Major Henryk Dobrzański "Hubal" completely destroyed a battalion of German infantry in a skirmish near the village of Huciska. A few days later in an ambush near the village of Szałasy it inflicted heavy casualties upon another German unit. To counter this threat the German authorities formed a special 1,000 men strong counter-insurgency unit of combined SS–Wehrmacht forces, including a Panzer group. Although the unit of Major Dobrzański never exceeded 300 men, the Germans fielded at least 8,000 men in the area to secure it. In 1940, Witold Pilecki, an intelligence officer for the Polish resistance, presented to his superiors a plan to enter Germany's Auschwitz concentration camp, gather intelligence on the camp from the inside, and organize inmate resistance. The Home Army approved this plan, provided him a false identity card, and on 19 September 1940, he deliberately went out during a street roundup (łapanka) in Warsaw and was caught by the Germans along with other civilians and sent to Auschwitz. In the camp he organized the underground organization -Związek Organizacji Wojskowej - ZOW. From October 1940, ZOW sent its first report about the camp and the genocide in November 1940 to Home Army Headquarters in Warsaw through the resistance network organized in Auschwitz. During the night of 21–22 January 1940, in the Soviet-occupied Podolian town of Czortków, the Czortków Uprising started; it was the first Polish uprising during World War II. Anti-Soviet Poles, most of them teenagers from local high schools, stormed the local Red Army barracks and a prison, in order to release Polish soldiers kept there. At the end of 1940 Aleksander Kamiński created a Polish youth resistance organization - "Wawer". It was part of the Szare Szeregi (the underground Polish Scouting Association). This organisation carried out many minor sabotage operations in occupied Poland. Its first action was drawing graffiti in Warsaw around Christmas Eve of 1940 commemorating the Wawer massacre. Members of the AK Wawer "Small Sabotage" units painted "Pomścimy Wawer" ("We'll avenge Wawer") on Warsaw walls. At first they painted the whole text, then to save time they shortened it to two letters, P and W. Later they invented Kotwica -"Anchor" - which became the symbol of all Polish resistance in occupied Poland. łapanka, possibly the one in which Witold Pilecki was captured in autumn 1941, Warsaw, Żoliborz. From April 1941 the Bureau of Information and Propaganda of the Union for Armed Struggle started Operation N headed by Tadeusz Żenczykowski. It involved sabotage, subversion and black-propaganda activities. From March 1941, Witold Pilecki's reports were forwarded to the Polish government in exile and through it, to the British and other Allied governments. These reports informed the Allies about the Holocaust and were the principal source of intelligence on Auschwitz-Birkenau for the Western Allies. On 7 March 1941, two Polish agents of the Home Army killed Nazi collaborator actor Igo Sym in his apartment in Warsaw. In reprisal, 21 Polish hostages were executed. Several Polish actors were also arrested by the Nazis and sent to Auschwitz, among them such notable figures as directors Stefan Jaracz and Leon Schiller. In July 1941 Mieczysław Słowikowski (using the codename "Rygor" — Polish for "Rigor") set up "Agency Africa," one of World War II's most successful intelligence organizations. His Polish allies in these endeavors included Lt. Col. Gwido Langer and Major Maksymilian Ciężki. The information gathered by the Agency was used by the Americans and British in planning the amphibious November 1942 Operation Torch landings in North Africa. These were the first large-scale Allied landings of the war, and their success in turn paved the way for the Allies' Italian campaign. On 20 June 1942, the most spectacular escape from Auschwitz concentration camp took place. 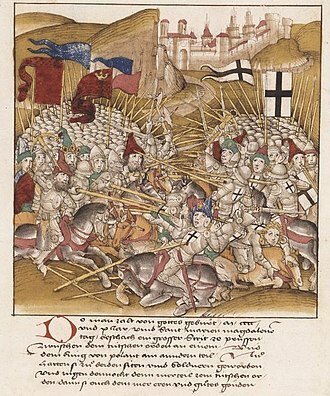 Four Poles, Eugeniusz Bendera, Kazimierz Piechowski, Stanisław Gustaw Jaster and Józef Lempart made a daring escape. The escapees were dressed as members of the SS-Totenkopfverbände, fully armed and in an SS staff car. They drove out the main gate in a stolen Rudolf Hoss automobile Steyr 220 with a smuggled report from Witold Pilecki about the Holocaust. The Germans never recaptured any of them. In September 1942 "The Żegota Council for the Aid of the Jews" was founded by Zofia Kossak-Szczucka and Wanda Krahelska-Filipowicz ("Alinka") and made up of Polish Democrats as well as other Catholic activists. Poland was the only country in occupied Europe where there existed such a dedicated secret organization. Half of the Jews who survived the war (thus over 50,000) were aided in some shape or form by Żegota. The best-known activist of Żegota was Irena Sendler, head of the children's division, who saved 2,500 Jewish children by smuggling them out of the Warsaw Ghetto, providing them with false documents, and sheltering them in individual and group children's homes outside the Ghetto. In 1942 Jan Karski reported to the Polish, British and U.S. governments on the situation in Poland, especially the Holocaust of the Jews. 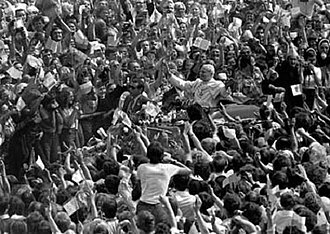 He met with Polish politicians in exile including the prime minister, and members of political parties such as the Socialist Party, National Party, Labor Party, People's Party, Jewish Bund and Poalei Zion. He also spoke to Anthony Eden, the British foreign secretary, and included a detailed statement on what he had seen in Warsaw and Bełżec. The Zamość Uprising was an armed uprising of Armia Krajowa and Bataliony Chłopskie against the forced expulsion of Poles from the Zamość region under the Nazi Generalplan Ost. The Germans attempted to remove the local Poles from the Greater Zamość area (through forced removal, transfer to forced labor camps, or, in some cases, mass murder) to get it ready for German colonization. It lasted from 1942 until 1944 and despite heavy casualties suffered by the Underground, the Germans failed. On the night from 7 to 8 October 1942 Operation Wieniec started. It targeted rail infrastructure near Warsaw. Similar operations aimed at disrupting German transport and communication in occupied Poland occurred in the coming months and years. It targeted railroads, bridges and supply depots, primarily near transport hubs such as Warsaw and Lublin. Page 5 of Stroop Report describing German fight against "Juden mit polnischen Banditen" - "Jews with Polish bandits". In early 1943 two Polish janitors of Peenemünde's Camp Trassenheide provided maps, sketches and reports to Armia Krajowa Intelligence, and in June 1943 British intelligence had received two such reports which identified the "rocket assembly hall', 'experimental pit', and 'launching tower'. When reconnaissance and intelligence information regarding the V-2 rocket became convincing, the War Cabinet Defence Committee (Operations) directed the campaign's first planned raid (the Operation Hydra bombing of Peenemünde in August 1943) and Operation Crossbow. On 26 March 1943 in Warsaw Operation Arsenal was launched by the Szare Szeregi (Gray Ranks) Polish Underground The successful operation led to the release of arrested troop leader Jan Bytnar "Rudy". In an attack on the prison, Bytnar and 24 other prisoners were freed. In 1943 in London Jan Karski met the then much known journalist Arthur Koestler. 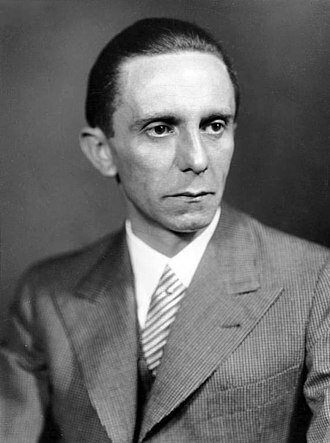 He then traveled to the United States and reported to President Franklin D. Roosevelt. His report was a major factor in informing the West. In July 1943, again personally reported to Roosevelt about the situation in Poland. 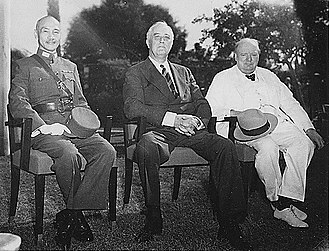 He also met with many other government and civic leaders in the United States, including Felix Frankfurter, Cordell Hull, William Joseph Donovan, and Stephen Wise. Karski also presented his report to media, bishops of various denominations (including Cardinal Samuel Stritch), members of the Hollywood film industry and artists, but without success. Many of those he spoke to did not believe him, or supposed that his testimony was much exaggerated or was propaganda from the Polish government in exile. In April 1943 the Germans began deporting the remaining Jews from the Warsaw ghetto provoking the Warsaw Ghetto Rising, 19 April to 16 May. Polish Underground State ordered Ghetto Action - series of combat actions carried out by the Home Army during the uprising between 19 April 1943 and May 16, 1943. Some units of the AK tried to assist the Ghetto rising, but for the most part the resistance was unprepared and unable to defeat the Germans. One Polish AK unit, the National Security Corps (Państwowy Korpus Bezpieczeństwa), under the command of Henryk Iwański ("Bystry"), fought inside the ghetto along with ŻZW. Subsequently, both groups retreated together (including 34 Jewish fighters). Although Iwański's action is the most well-known rescue mission, it was only one of many actions undertaken by the Polish resistance to help the Jewish fighters. In one attack, three cell units of AK under the command of Kapitan Józef Pszenny ("Chwacki") tried to breach the ghetto walls with explosives, but the Germans defeated this action. AK and GL engaged the Germans between 19 and 23 April at six different locations outside the ghetto walls, shooting at German sentries and positions and in one case attempting to blow up a gate. Participation of the Polish underground in the uprising was many times confirmed by a report of the German commander - Jürgen Stroop. When we invaded the Ghetto for the first time, the Jews and the Polish bandits succeeded in repelling the participating units, including tanks and armored cars, by a well-prepared concentration of fire. (...) The main Jewish battle group, mixed with Polish bandits, had already retired during the first and second day to the so-called Muranowski Square. There, it was reinforced by a considerable number of Polish bandits. Its plan was to hold the Ghetto by every means in order to prevent us from invading it. (...) Time and again Polish bandits found refuge in the Ghetto and remained there undisturbed, since we had no forces at our disposal to comb out this maze. (...) One such battle group succeeded in mounting a truck by ascending from a sewer in the so-called Prosta [Street], and in escaping with it (about 30 to 35 bandits). (...) The bandits and Jews – there were Polish bandits among these gangs armed with carbines, small arms, and in one case a light machine gun – mounted the truck and drove away in an unknown direction. In August 1943 the headquarters of the Armia Krajowa ordered Operation Belt which was one of the large-scale anti-Nazi operations of the AK during the war. By February 1944, 13 German outposts were destroyed with few losses on the Polish side. Operation Heads began: the serial executions of German personnel who had been sentenced to death by Polish underground Special Courts for crimes against Polish citizens in German-occupied Poland. On 7 September 1943, the Home Army killed Franz Bürkl during Operation Bürkl. Bürkl was a high-ranking Gestapo agent responsible for the murder and brutal interrogation of thousands of Polish Jews and resistance fighters and supporters. In reprisal, 20 inmates of Pawiak were murdered in a public execution by the Nazis. From November 1943, Operation Most III started. The Armia Krajowa provided the Allies with crucial intelligence on the German V-2 rocket. In effect some 50 kg of the most important parts of the captured V-2, as well as the final report, analyses, sketches and photos, were transported to Brindisi by a Royal Air Force Douglas Dakota aircraft. In late July 1944, the V-2 parts were delivered to London. On 11 February 1944 the Resistance fighters of Polish Home Army's unit Agat executed Franz Kutschera, SS and Reich's Police Chief in Warsaw in action known as Operation Kutschera. In a reprisal of this action 27 February 140 inmates of Pawiak - Poles and Jews were shot in a public execution by the Germans. 13 – 14 May 1944 the Battle of Murowana Oszmianka the largest clash between the Polish anti-Nazi Armia Krajowa and the Nazi Lithuanian Territorial Defense Force a Lithuanian volunteer security force subordinated to Nazi Germany. The battle took place in and near the village of Murowana Oszmianka in Generalbezirk Litauen Reichskommissariat Ostland. 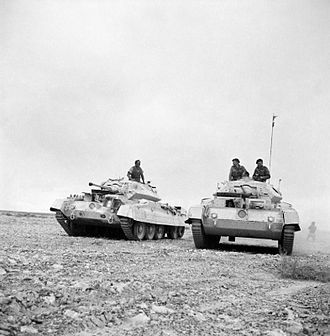 The outcome of the battle was that the 301st LVR battalion was routed and the entire force was disbanded by the Germans soon afterwards. On 14 June 1944 the Battle of Porytowe Wzgórze took place between Polish and Russian partisans, numbering around 3000, and the Nazi German units consisted of between 25000 and 30000 soldiers, with artillery, tanks and armored cars and air support. On 25–26 June 1944 the Battle of Osuchy - one of the largest battles between the Polish resistance and Nazi Germany in occupied Poland during World War II was fought, in what was essentially a continuation of the Zamość Uprising. During 1943 the Home Army built up its forces in preparation for a national uprising. The plan of national anti-Nazi uprising on areas of prewar Poland was code-named Operation Tempest. Preparation began in late 1943 but the military actions started in 1944. Its most widely known elements were Operation Ostra Brama, Lwów Uprising and the Warsaw Uprising. On 7 July, Operation Ostra Brama started. Approximately 12,500 Home Army soldiers attacked the German garrison and managed to seize most of the city center. Heavy street fighting in the outskirts of the city lasted until 14 July. In Vilnius' eastern suburbs, the Home Army units cooperated with reconnaissance groups of the Soviet 3rd Belorussian Front. 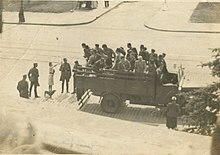 The Red Army entered the city on 15 July, and the NKVD started to intern all Polish soldiers. On 16 July, the HQ of the 3rd Belorussian Front invited Polish officers to a meeting and arrested them. On 23 July the Lwów Uprising—the armed struggle started by the Armia Krajowa against the Nazi occupiers in Lwów during World War II—started. It started in July 1944 as a part of a plan of all-national uprising codenamed Operation Tempest. The fighting lasted until 27 July and resulted in liberation of the city. However, shortly afterwards the Polish soldiers were arrested by the invading Soviets and either forced to join the Red Army or sent to the Gulags. The city itself was occupied by the Soviet Union. In August 1944, as the Soviet armed forces approached Warsaw, the government in exile called for an uprising in the city, so that they could return to a liberated Warsaw and try to prevent a communist take-over. The AK, led by Tadeusz Bór-Komorowski, launched the Warsaw Uprising. Soviet forces were less than 20 km away but on the orders of Soviet High Command they gave no assistance. 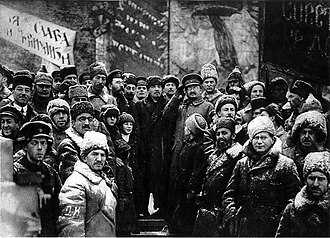 Stalin described the uprising as a "criminal adventure". 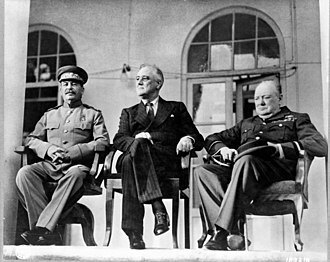 The Poles appealed to the western Allies for help. 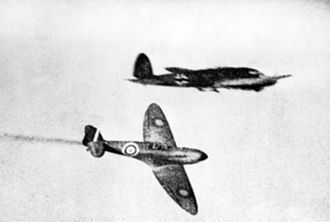 The Royal Air Force, and the Polish Air Force based in Italy, dropped some munitions, but it was almost impossible for the Allies to help the Poles without Soviet assistance. The fighting in Warsaw was desperate. The AK had between 12,000 and 20,000 armed soldiers, most with only small arms, against a well-armed German Army of 20,000 SS and regular Army units. Bór-Komorowski's hope that the AK could take and hold Warsaw for the return of the London government was never likely to be achieved. After 63 days of savage fighting the city was reduced to rubble, and the reprisals were savage. The SS and auxiliary units were particularly brutal. After Bór-Komorowski's surrender, the AK fighters were treated as prisoners-of-war by the Germans, much to the outrage of Stalin, but the civilian population were ruthlessly punished. Overall Polish casualties are estimated to be between 150,000–300,000 killed, 90,000 civilians were sent to labor camps in the Reich, while 60,000 were shipped to death and concentration camps such as Ravensbrück, Auschwitz, Mauthausen and others. 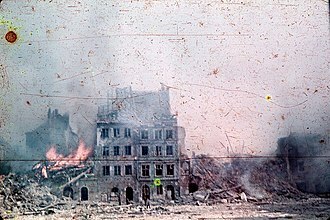 The city was almost totally destroyed after German sappers systematically demolished the city. 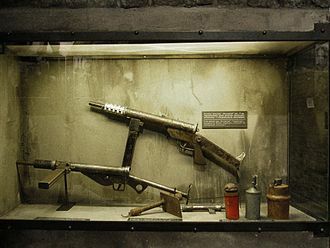 The Warsaw Uprising allowed the Germans to destroy the AK as a fighting force, but the main beneficiary was Stalin, who was able to impose a communist government on postwar Poland with little fear of armed resistance. In March 1945, a staged trial of 16 leaders of the Polish Underground State held by the Soviet Union took place in Moscow - (Trial of the Sixteen). The Government Delegate, together with most members of the Council of National Unity and the C-i-C of the Armia Krajowa, were invited by Soviet general Ivan Serov with agreement of Joseph Stalin to a conference on their eventual entry to the Soviet-backed Provisional Government. They were presented with a warrant of safety, yet they were arrested in Pruszków by the NKVD on 27 and 28 March. Leopold Okulicki, Jan Stanisław Jankowski and Kazimierz Pużak were arrested on 27th with 12 more the next day. A. Zwierzynski had been arrested earlier. They were brought to Moscow for interrogation in the Lubyanka. After several months of brutal interrogation and torture, they were presented with the forged accusations of "collaboration with Nazi Germany" and "planning a military alliance with Nazi Germany". In the latter years of the war, there were increasing conflicts between Polish and Soviet partisans. Cursed soldiers continued to oppose the Soviets long after the war. The last cursed soldier - member of the militant anti-communist resistance in Poland was Józef Franczak who was killed with pistol in his hand by ZOMO in 1963. On 5 May 1945 in Bohemia, the Narodowe Siły Zbrojne brigade liberated prisoners from a Nazi concentration camp in Holiszowo, including 280 Jewish women prisoners. The brigade suffered heavy casualties. On 21 May 1945, a unit of the Armia Krajowa, led by Colonel Edward Wasilewski, attacked a NKVD camp located in Rembertów on the eastern outskirts of Warsaw. The Soviets kept there hundreds of Poles, members of the Home Army, whom they were systematically deporting to Siberia. However, this action of the pro-independence Polish resistance freed all Polish political prisoners from the camp. Between 1944-1946, cursed soldiers attacked many communist prisons in Soviet-occupied Poland —see Raids on communist prisons in Poland (1944–1946). On 7 May 1945 in the village of Kuryłówka, southeastern Poland, the Battle of Kuryłówka started. It was the biggest battle in the history of the Cursed soldiers organization - National Military Alliance (NZW). In battle against Soviet Union's NKVD units anti-communist partisans shot 70 NKVD agents. The battle ended in a victory for the underground Polish forces. From 10–25 June 1945, Augustów chase 1945 (the Polish Obława augustowska) took place. It was a large-scale operation undertaken by Soviet forces of the Red Army, the NKVD and SMERSH, with the assistance of Polish UB and LWP units against former Armia Krajowa soldiers in the Suwałki and Augustów region in Poland. The operation also covered territory in occupied Lithuania. More than 2,000 alleged Polish anticommunist fighters were captured and detained in Russian internment camps. 600 of the "Augustów Missing" are presumed dead and buried in an unknown location in the present territory of Russia. The Augustów Roundup was part of an anti-guerilla operation in Lithuania. a ^ A number of sources note that the Home Army, representing the bulk of Polish resistance, was the largest resistance movement in Nazi-occupied Europe. Norman Davies writes that the "Armia Krajowa (Home Army), the AK,... could fairly claim to be the largest of European resistance [organizations]." Gregor Dallas writes that the "Home Army (Armia Krajowa or AK) in late 1943 numbered around 400,000, making it the largest resistance organization in Europe." Mark Wyman writes that the "Armia Krajowa was considered the largest underground resistance unit in wartime Europe." The numbers of Soviet partisans were very similar to those of the Polish resistance. ^ a b Krzysztof Komorowski (2009). Boje polskie 1939-1945: przewodnik encyklopedyczny (in Polish). Bellona. p. 6. ISBN 978-83-7399-353-2. ^ a b Marek Ney-Krwawicz, The Polish Underground State and The Home Army (1939–45) Archived 24 August 2016 at the Wayback Machine. Translated from Polish by Antoni Bohdanowicz. Article on the pages of the London Branch of the Polish Home Army Ex-Servicemen Association. Retrieved 14 March 2008. ^ a b c (in Polish) Armia Krajowa Archived 26 August 2016 at the Wayback Machine. Encyklopedia WIEM. Retrieved 2 April 2008. ^ a b Wojskowy przegla̜d historyczny (in Polish). s.n. 1996. p. 134. ^ HALINA LERSKI (30 January 1996). Historical Dictionary of Poland, 966-1945. ABC-CLIO. p. 665. ISBN 978-0-313-03456-5. ^ Wizje Polski: programy polityczne lat wojny i okupacji, 1939-1944 (in Polish). Elipsa. 1992. p. 416. ^ a b Hanna Konopka; Adrian Konopka (1 January 1999). Leksykon historii Polski po II wojnie światowej 1944-1997 (in Polish). Graf-Punkt. p. 130. ISBN 978-83-87988-08-1. ^ a b (in Polish) Armia Ludowa Archived 12 May 2014 at the Wayback Machine. Encyklopedia PWN. Retrieved 21 December 2006. ^ Bogdan Biegalski (1999). Organizacje podziemne na Środkowym Nadodrzu w latach 1945-1956 (in Polish). Lubuskie Towarzystwo Naukowe. p. 61. ISBN 978-83-910109-2-1. ^ Lidia Świerczek, Pilecki`s life Archived 12 June 2013 at the Wayback Machine Institute of National Remembrance. Last accessed on 14 March 2009. ^ Wojciech Zawadzki (2012), Eugeniusz Bendera (1906 – 1970). Przedborski Słownik Biograficzny, via Internet Archive. ^ "Auschwitz-Birkenau - The Film about the Amazing Escape from Auschwitz—Now Available on DVD". En.auschwitz.org.pl. 13 January 2009. Archived from the original on 22 May 2011. Retrieved 24 October 2011. ^ Tadeusz Piotrowski (1997). "Assistance to Jews". Poland's Holocaust. McFarland & Company. p. 118. ISBN 978-0-7864-0371-4. ^ Jedd, Joseph (1994). "Poland's Contribution in the Field of Intelligence to the Victory in the Second World War". The Summit Times. 2 (5–6). Retrieved 9 November 2008. ^ a b Strzembosz (1978), page 277-296. ^ Bernard Chiari; Jerzy Kochanowski (2003). Die polnische Heimatarmee: Geschichte und Mythos der Armia Krajowa seit dem Zweiten Weltkrieg (in German). Munich: Militärgeschichtliches Forschungsamt; Oldenbourg Wissenschaftsverlag. pp. 630–631. ISBN 978-3-486-56715-1. Retrieved 18 March 2008. ^ Tadeusz Bór-Komorowski, "The secret army", London : Victor Gollancz, 1951. ^ Władysław Bartoszewski (1984). Dni Walczącej Stolicy: kronika Powstania Warszawskiego. Warsaw: Muzeum Powstania Warszawskiego; Świat Książki. ISBN 978-83-7391-679-1. ^ Norman Davies, (2004). "Rising '44. The Battle for Warsaw" (1st U.S. ed.). New York: Viking. ISBN 978-0-670-03284-6. ^ G J Ashworth (1991). War and the City. London: Routledge. p. 108. ISBN 978-0-415-05347-1. ^ Anthony James Joes (2004). Resisting Rebellion: The History and Politics of Counterinsurgency. University Press of Kentucky. p. 47. ISBN 978-0-8131-2339-4. ^ Michael Alfred Peszke (2004). The Polish Underground Army, the Western Allies, and the Failure of Strategic Unity in World War II. McFarland & Company. p. 146. ISBN 978-0-7864-2009-4. ^ Jan M. Ciechanowski (2002). The Warsaw Rising of 1944. Cambridge: Cambridge University Press. pp. 206–208. ISBN 978-0-521-89441-8. ^ Malcher, G.C. (1993) Blank Pages Pyrford Press ISBN 1-897984-00-6. Page 73. ^ Bohdan Kwiatkowski, Sabotaż i dywersja, Bellona, London 1949, vol.1, p.21; as cited by Marek Ney-Krwawicz, The Polish Underground State and The Home Army (1939-45) Archived 24 August 2016 at the Wayback Machine. Translated from Polish by Antoni Bohdanowicz. Article on the pages of the London Branch of the Polish Home Army Ex-Servicemen Association. Retrieved 14 March 2008. Strzembosz, Tomasz (1978). Akcje zbrojne podziemnej Warszawy 1939–1944 [Armed actions of underground Warsaw 1939–1944] (in Polish). Warsaw: Państwowy Instytut Wydawniczy. ISBN 978-8306007176. Stroop, Juergen (1979). 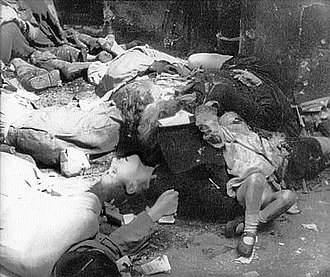 The Stroop Report: "The Jewish Quarter of Warsaw is No More!". Translated by Milton, Sybil. New York: Pantheon. Karski, Jan (2013). Story of a secret state. My Report to the World. Washington DC: Georgetown University Press. ISBN 9781589019836. Ann Su Caldwell, POLAND: HERE IS THE RECORD at the Wayback Machine (archived 27 July 2011). Polonia Online. Emil August Fieldorf Nil was a Polish brigadier general. He was Deputy Commander-in-Chief of the Armia Krajowa, after the failure of the Warsaw Uprising, the Soviet NKVD executed Fieldorf in 1953. General Fieldorfs ancestors were partly of German origin and he was born on March 20,1895 in Kraków. There he finished mens college of St Nicholas and a seminary, in 1910 he joined the Polish pro-independence paramilitary organization Riflemens Association, becoming a full member in 1912. He finished the school for non-commissioned officers, on 6 August 1914, Fieldorf volunteered for the newly formed 1st Brigade of the Legions under Józef Piłsudski. With them he set out for the Russian Front, where he served in the position of second-in-command of an infantry platoon, in 1916 he was promoted to sergeant, and in 1917 directed to officer school. After the oath crisis he was pressed into the Austro-Hungarian Army and moved to the Italian front, in August 1918 he volunteered at the Polish Military Organisation in his home city of Kraków. From November 1918 Fieldorf served in the ranks of the Polish Army in the newly forming Second Republic, initially as a platoon commander, in 1919 and 1920 he took part in the campaign to join the Wilno region to Poland proper. After the commencement of the Polish-Bolshevik War, as a commander he participated in liberating Dyneburg, Żytomierz. Fieldorf married Janina Kobylinska in 1919, with whom he had two daughters and Maria, remaining on active duty after World War I, he was promoted to major and posted to the 1st Polish Infantry Regiment, as a battalion commander. In 1935 he was given command of the Troki independent battalion of the Border Protection Corps, a year later, he became a lieutenant colonel. Shortly before the outbreak of World War II, he was commander of the 51st Giuseppe Garibaldi Rifle Regiment within the 12th Infantry Division on the eastern fringes of Poland. Fieldorf commanded his regiment during the Polish September Campaign, after the Divisions defeat, on the night of September 8–9, he fled in civilian clothes to his native Kraków. Dmytro Klyachkivsky, known by his pseudonyms Klym Savur, Bilash, was a commander of the Ukrainian Insurgent Army, first head-commander of the UPA-North. He was responsible for the cleansing of Poles from Volhynia. Klyachkivsky was born on 4 November 1911 in the city of Zbarazh, Galicia and he completed his secondary studies and entered the Law faculty of the Jan Kazimierz University in Lwow. After joint Nazi and Soviet attack on Poland, Eastern Poland was occupied by the Soviet Union, Klyachkivsky was arrested by the Soviets in Lviv, and sentenced to death which was commuted to 10 years incarceration. He escaped from the Berdychiv Prison in July 1941 and he was given the rank of Major and made the regional commander of UIA-North in 1944. Dmytro Klyachkivsky is regarded as the initiator of the massacres of Poles in Volhynia in modern-day western Ukraine in the years 1943-1945 and it was his directive, issued in mid-1943, that ordered the extermination of the Polish population across the province. One Ukrainian Insurgent Army commander who opposed it was threatened by Klyachkivsky with court-martial, evidence of his actions was found in SBU archives by Polish historian Władysław Filar and was published in 2000 in his book Before action Wisla, there was Volhynia. It was an order addressed to the commanders of the Ukrainian Insurgent Army in Volhynia and this secret directive stated, We should undertake the great action of the liquidation of the Polish element. As the German armies withdraw, we should take advantage of this convenient moment for liquidating the entire population in the age from 16 up to 60 years. We cannot lose this fight, and it is necessary at all costs to weaken Polish forces and settlements situated next to the large forests should disappear from the face of the earth. Nevertheless, as noted by Timothy Snyder, among the tens of thousands of Poles murdered by UPA on his orders, Klyachkivsky died in battle against the forces of the NKVD in January 1945 near the settlement of Orzhiv in the vicinity of Rivne. Roman-Taras Yosypovych Shukhevych was a Ukrainian politician, military leader and general of the Ukrainian Insurgent Army. Roman Taras Yosypovych Shukhevych was born in the city of Krakovets, Jaworow powiat, both Shukhevychs parents were involved with the Ukrainian national revival in the 19th century. The family lays claim to dozens of community activists in politics, science. Shukhevych received his education outside of Lviv. He returned to Lviv to study at the gymnasium, living with his grandfather and his political formation was influenced by Yevhen Konovalets, the commander of the Ukrainian Military Organization, who rented a room in Yevhen Konovaletss fathers house from 1921 to 1922. In October 1926, Shukhevych entered the Lviv Politechnic Institute to study civil engineering, in July 1934 he completed his studies with an engineering degree. At this time he was known for his abilities for which he won numerous awards. He was a musician and with his brother Yuriy completed studies in piano. He sang solo on occasions with his brother in the Lviv opera, during his student years in gymnasium, Shukhevych became an active member of the Ukrainian Scouting organization Plast. He was a member of Lisovi Chorty and he organized Plast groups and founded the Chornomortsi kurin in 1927. From 1928-1929, Shukhevych did his military service in the Polish army, as a tertiary student, he was automatically sent for officer training. However, he was deemed unreliable, and instead completed his service as a private in the artillery in Volhynia. In 1925, Shukhevych joined the Ukrainian Military Organization, in 1926, Shukhevych was ordered to assassinate the Lviv school superintendent, Stanisław Sobiński, accused of Polonizing the Ukrainian education system. The assassination was carried out by Roman Shukhevych and Bohdan Pidhainy on October 19,1926, in February 1929, the Organization of Ukrainian Nationalists was founded in Vienna. Shukhevych under the name Dzvin became a representative of the Ukrainian Executive, Shukhevych was a leader of a wave of attacks against Polish property and homes in Galicia in 1930 intended to provoke Polish authorities into retaliation. Jan Karski was a Polish World War II resistance movement fighter and professor at Georgetown University. The same date was used by Karski on some existing pre-war hand-written documents, Jan Karski was named Jan having been born on St Johns Day, following the Polish pre-war custom of naming newborn infants after saints. An error was made in the records of August 8. Karskis date of birth is given as 24 April 1914, based on his baptismal records in Russian. The Diploma for his masters degree and the Certificate from the Artillery Reserve Officer Cadet School both reflect his 24 April birthday and their colleagues at the Polish Senate did the same, according to the office of Bogdan Borusewicz. Some documents handwritten by Jan Karski before WWII list the 24 June date, all US documents list 11 April, including passport and social security card. Polish PWN Encyclopedia recognizes the date as 22 April, another variant is on his diplomatic passport which lists his birthday as 22 March 1912. The error reflected in his war-time documents probably served Karski well in his profession, Karski was raised a Catholic and remained so throughout his life. He grew up in a neighborhood where the majority of the population was Jewish. He completed his education between 1935 and 1938 in various posts in Romania, Germany and the United Kingdom. After completing and gaining a First in Grand Diplomatic Practice, on 1 January 1939 he started work in the Polish Ministry of Foreign Affairs, Kozielewski was held prisoner in Kozielszczyna camp. He successfully concealed his rank of 2nd Lieutenant and after a uniform exchange, was identified by the NKVD commander as a Private. He was handed over to the Germans as a born in Łódź. In November 1939 on a train to a POW camp in General Government, Karski managed to escape, there he joined the SZP[Służba żwycięstwu Polski‚ – the first resistance movement in occupied Europe organized by General Michał Karaszewicz-Tokarzewski and a predecessor of ZWZ, the Home Army. About that time he adopted a nom de guerre of Jan Karski, other noms de guerre used by him during World War II included Piasecki, Kwaśniewski, Kruszewski and Witold. Kielce is a city in south central Poland with 199,475 inhabitants. It is the city of the Świętokrzyskie Voivodeship since 1999. The city is located in the middle of the Świętokrzyskie Mountains, at the banks of the Silnica River, the history of Kielce dates back over 900 years and the exact date when the town was founded remains unknown. The name of the city derives from the migrating Celts, who stopped here during their journey across the European continent. The area was inhabited at the beginning of the 11th century by hunters and beekeepers. It was that a marketplace was established, where forest products were exchanged for agricultural produce, at the turn of the 12th century, the bishops of Kraków became the owners of the settlement and began constructing a castle on a nearby hill. Under the influence of Vincent Kadłubek, a school was established in the town. Kielce was mentioned in documents for the first time in 1212. In the 13th century, Tatar raids on Poland destroyed the city completely, at the end of 15th century, Frederick Jagiellon granted the town its official symbols, a golden crown on a red shield with the letters CK - Civitas Kielcensis, Latin for the City of Kielce. Between 1637 and 1642, due to the initiative of bishop Jakub Zadzik, a Renaissance palace was erected, the city was burned to the ground during the Swedish Deluge in the 17th century. After the Partitions of Poland, Kielce became part of the Austrian Empire, in 1809, the city was incorporated into the Duchy of Warsaw and after 1815 into the Congress Kingdom of Poland. During World War II, Kielce was the sight of German Nazi atrocities, after the war the city saw an outbreak of violence against the Jewish community, which became known as the Kielce pogrom. Kielce was once an important centre of mining and the vicinity is famous for its natural resources like copper and iron. The area of Kielce has been inhabited since at least the 5th century BC, until the 6th or 7th century the banks of the Silnica were inhabited by Celts. The lands of Wiślanie were at first subdued by Bohemia, however they came under the control of the Piast dynasty. According to a legend, son of Boleslaus II of Poland dreamt he was attacked by a band of brigands in a forest. Franz Kutschera was an Austrian Nazi politician, SS-Brigadeführer and war criminal. Kutschera was born in Oberwaltersdorf, Lower Austria and was the son of a professional gardener, after elementary school he served as a ship boy in the Austro-Hungarian Navy in 1918–19 and attended machinists school in Budapest before training to become a gardener. 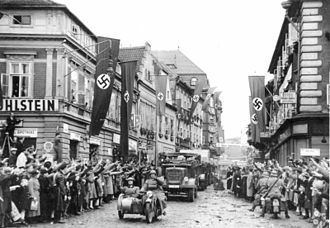 Between the 1920 and 1928 Kutschera resided in Opava and Karlovy Vary in the Sudetenland region of Czechoslovakia, Kutschera joined the Austrian Nazi Party in December 1930 and the Schutzstaffel in November 1931. The Nazi Party in Austria was banned in July 1933 by the Austrofascist government of Engelbert Dollfuss, despite the government ban, Kutschera remained a committed Party activist and was arrested several times by Austrian authorities for illegal pro-Nazi political activities. From 1933 he served as an SS-Truppführer in Carinthia and would join the Sicherheitsdienst in 1934, in July 1935 he was appointed deputy commander of the 90th SS-Standarte based in Klagenfurt. On May 24,1938 he was appointed deputy to the Gauleiter of Kärnten, Hubert Klausner, after the 1938 election and referendum, Kutschera became a member of the Großdeutscher Reichstag parliamentary assembly, maintaining this position until his death. In early-1939 Kutschera was appointed lay judge with the Peoples Court, with the outbreak of World War II Kutschera was named representative of the Reich Defense Commissioner for southeastern Austria and northern Slovenia. He was appointed Gau Business Leader for Kärnten, Kutschera was elevated the rank of Brigadeführer in 1940 and took part in the Battle of France. In January 1942 Kutschera was seconded to the staff of Obergruppenführer Erich von dem Bach-Zelewski, soon after his arrival on the Eastern Front, Kutschera personally directed anti-partisan and mass-killing operations in the occupied territories of the Soviet Union. Kurtschera served as a representative of the Reich Commission for the Strengthening of German Nationhood on Bach-Zalewskis staff, in November 1942 he was given the rank of Generalmajor der Polizei and on 20 April 1943 he was appointed SS and Police Leader for the Mogilev district. On 25 September 1943, Kutschera took office as SS and Police Leader for the Warsaw district of the General Government in occupied Poland, once in power in Warsaw he increased the number of roundups of Polish citizens and the number of hostage executions. Every day lists were hung in public announcing the names of the next Poles to be executed in the event of any attack on a German soldier or police officer and these notices were always signed anonymously by the Commander of the SS and Police at Warsaw District. In the course of his surveillance of the Gestapo offices on Aleje Szucha. The SS officer who emerged from the car wore the clearly identifiable rank, Rayski began to secretly monitor the mysterious SS mans arrivals and departures from SS headquarters and filed a report with his superiors. An investigation by Kedyw in January,1944 confirmed that the man being observed by Rayski was Franz Kutschera, following his discovery by Rayski, Kutschera was tried in absentia by a secret Special Court of the Polish Underground State. UPA propaganda poster. OUN/UPAs formal greeting is written in Ukrainian on two of the horizontal lines Glory to Ukraine- Glory to (her) Heroes. The soldier is standing on the banners of the Soviet Union and Nazi Germany. Michał Tokarzewski as the second in command of the Anders Army while in Jerusalem during World War II. Michał Tokarzewski gravestone in Brompton Cemetery, London. Jan Karski with General Colin Powell at the opening of the United States Holocaust Memorial Museum. Biuletyn Informacyjny from March 9, 1943, informing about the execution of the death penalty for "killing two citizens of Polish Jewish nationality” by Kedyw. 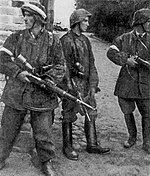 Partisans from "Jędrusie" unit during patrol - Andrzej Skowroński "Andrzej" and "Inspektor".